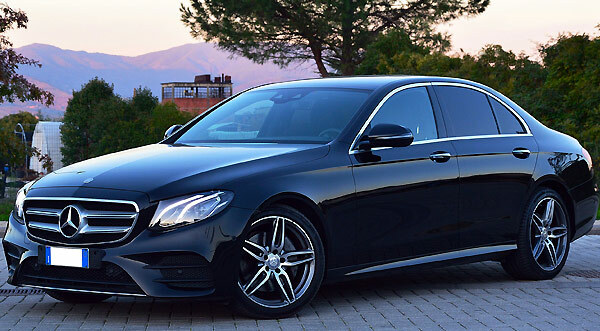 Rent a Mercedes E Class Where: Italy, Venice, Rome, Milan, Florence, Turin, Naples, Pisa, Siena, Tuscany Descrizione: The most appreciated for the ones using the short term hire service, thanks to the low consumptions, the elegance and the comfort. 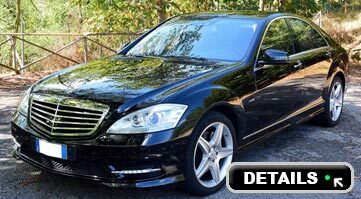 The big and large trunks are present in all the Mercedes models, make these cars perfect for the long trips. 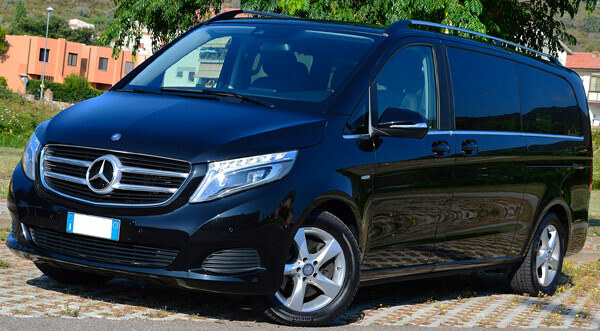 Rent a Mercedes Viano: 7 perfect seats for the ones moving in groups, with a very low oil consumption and lot of space for the luggages. 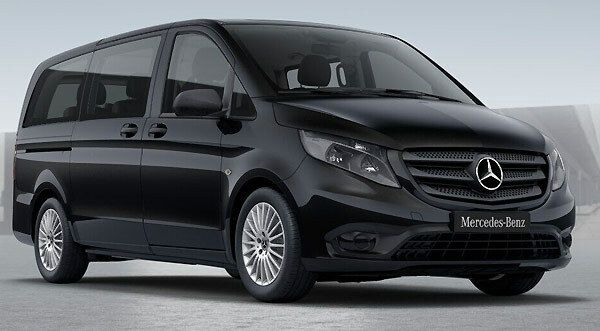 The elegance inside and the optionals make Viano perfect also for long trips. You can drive it with the classic driver's license. 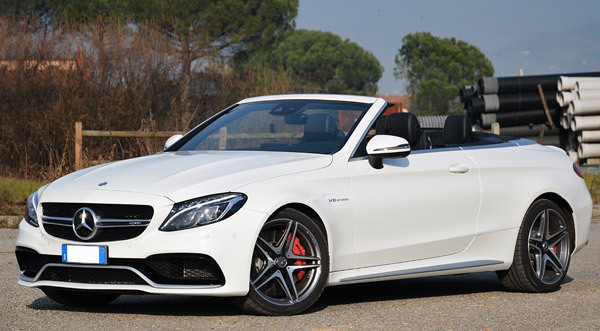 Rent a Mercedes E Class Convertible Cabrio: Just press one button and your day will begin with a big smile! Traveling on a convertible car will let you free to admire the landscapes, to breathe the scent of nature. And all the people attention will be of coursed focused on you. 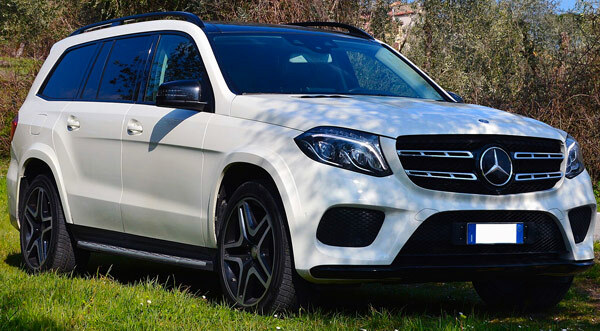 Rent a Mercedes ML 4X4 SUV: With the SUV of this brand, elegance meets power, always with low fuel consumption. It is perfect for those needing to drive difficult paths, with snow or bad weather conditions. 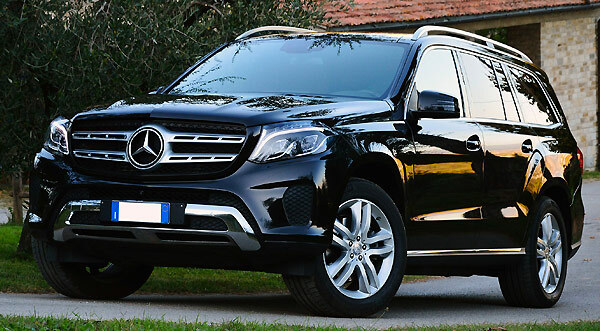 Rent a Mercedes Gl: Great space and elegant lines for this 7 seats branded Mercedes. The external lines rimind the SUV ones, while inside there are two electronically flip-open seats, to exploit the space of the trunk for the ones that need to move in groups. Rent a Mercedes S Class: The best driving experience, with a full optional car, elegant interiors and with all the comforts. The accurate organization handled befor your arrival will let you free to get the keys of your dream car in less than five minutes after your arrival. All the records will be dealt before your arrival and you will justa have to sign to take the car and leave for your destination. You could ask for the car delivery at your hotel/villa, at the railway station or airport. Every client is followed by a personal assistant that will help him from the very first contact to the car return. Just one contact person that will be at your disposal h24 every day, able to find the best solutions to all your requests. Chooes the place and the time for the delivery and the return. Professionality, elegance and discretion are waiting for you. PickUp: Naples, Positano, Portofino, Punta Ala, Milan, Venice, Rome, Turin, Tuscany, Florence, Naples, Pisa, Verona, Forte dei Marmi, Portovenere, Genova, Lucca, Arezzo, Siena, Grosseto, Viareggio, Versilia, Livorno. Shore excursions from La Spezia, Livorno and Civitavecchia. Brand: Mercedes. The car fleet offered by Karisma Luxury Rentals to its clients is made of several models of the Mercedes brand, one of the most loved and wanted for the luxury rental car. Compare prices and choose the car. There are a number of turists or professionists that travel around Europe, from a nation to the other, or else clients that need to start a hire in a town and give back the car in another one. This allows avoid the “go and return” routine and to exploit every minute at disposal to visit the places of your destination. The One Way Service, is the service that permits the guest to retire and give back the car in two different places. It is an exclusive of Karisma Luxury Rental, also available for the luxury cars. Ask now for a quote and book your dream car today! "I am often out because of my job and I have rented almost all the Merceds modes, sedan or suv. " Which one do I prefer? The E Class, because of the low fuel usage when I have to drive for long paths. Mercedes E Class when I need a representative car, as the elegance of this car is quite unique. Mercedes G1 7 seats when I move in group, and the ML if I need space and with bad conditions. Anyway, the Mercedes brand is the one I prefer most.